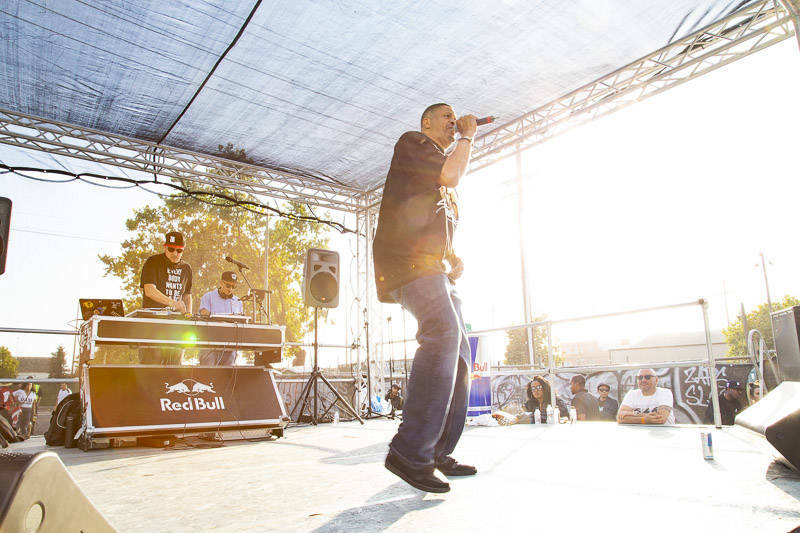 The afternoon sun was beating down on Hiero Day when Richie Rich, a veteran of Oakland's '90s mobb music scene, closed out his set with the 1990 song "Side Show," an homage to The Town's oft-vilified underground car culture. 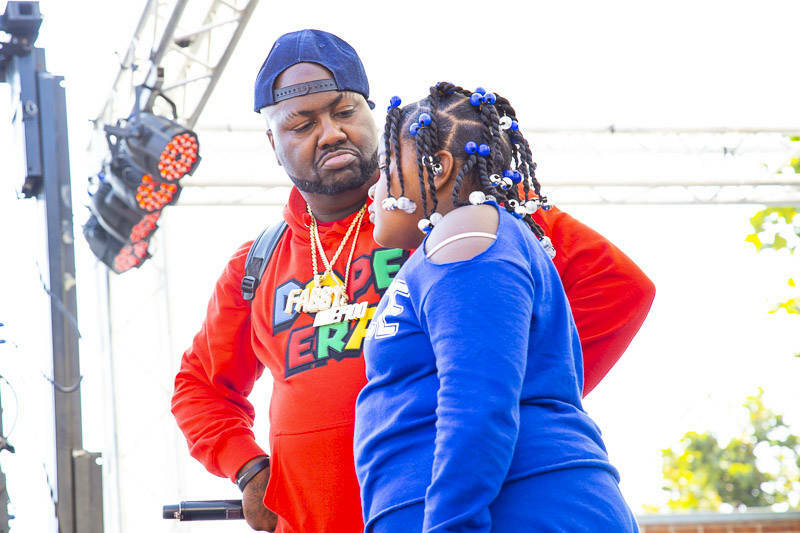 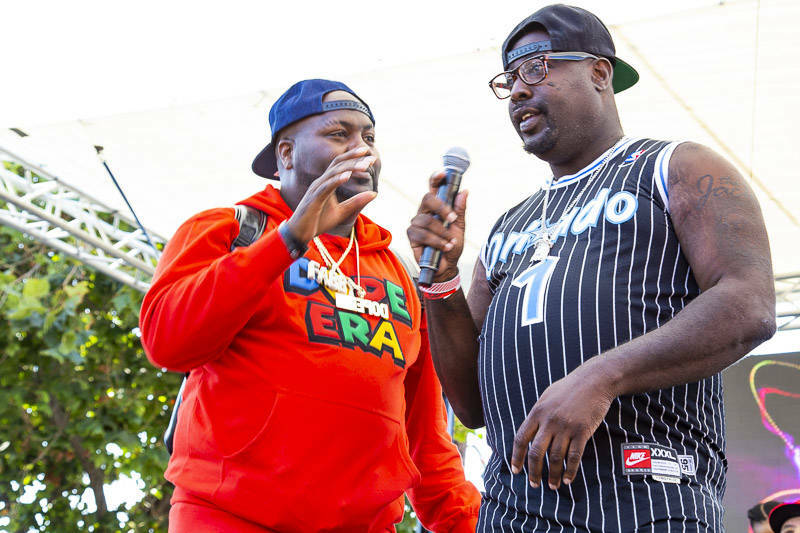 After a friendly exchange, rapper Mistah F.A.B., who hosted the main festival stage, brought a special guest to the stage. 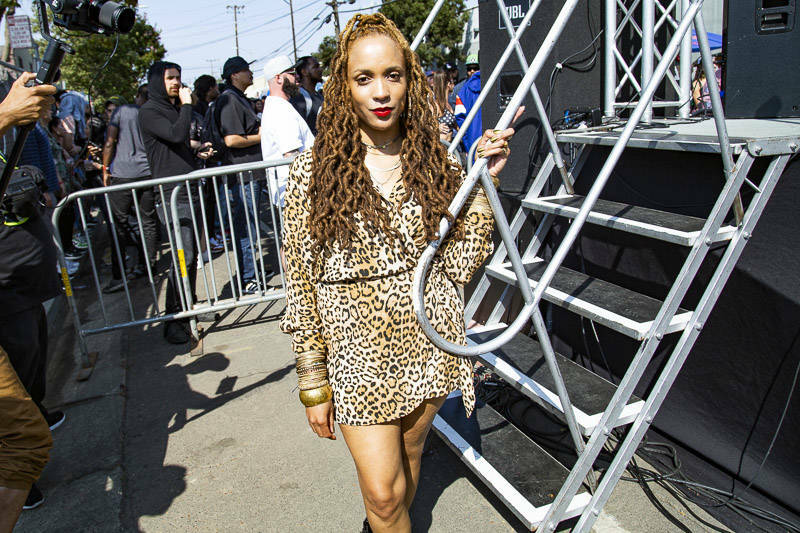 It was Kenzie Smith, a candidate for Oakland City Council and the man involved in the infamous "BBQ Becky" incident. 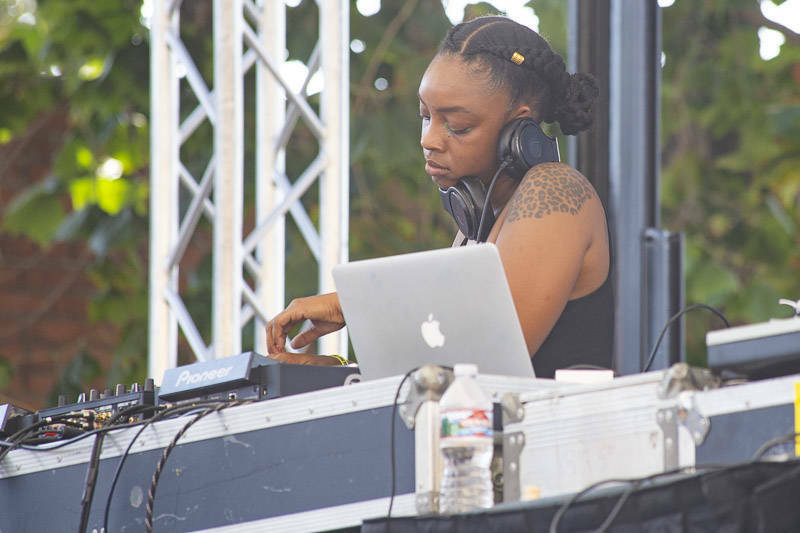 Smith was suddenly thrust into the spotlight in May after Jennifer Schulte, a white woman, called the police on him while he was having a barbecue at Lake Merritt. 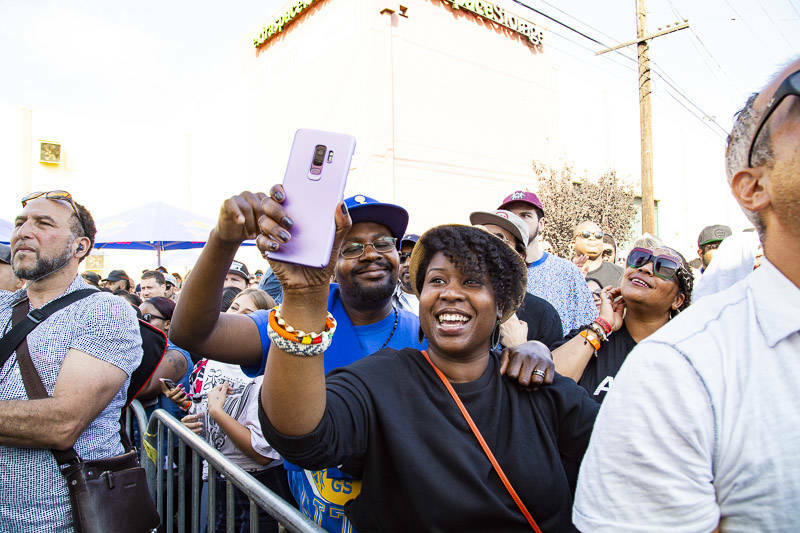 The viral incident galvanized black Oaklanders to reclaim public spaces with events like BBQ'n While Black, sending the message to stakeholders that, despite ongoing gentrification and displacement, they're still here. 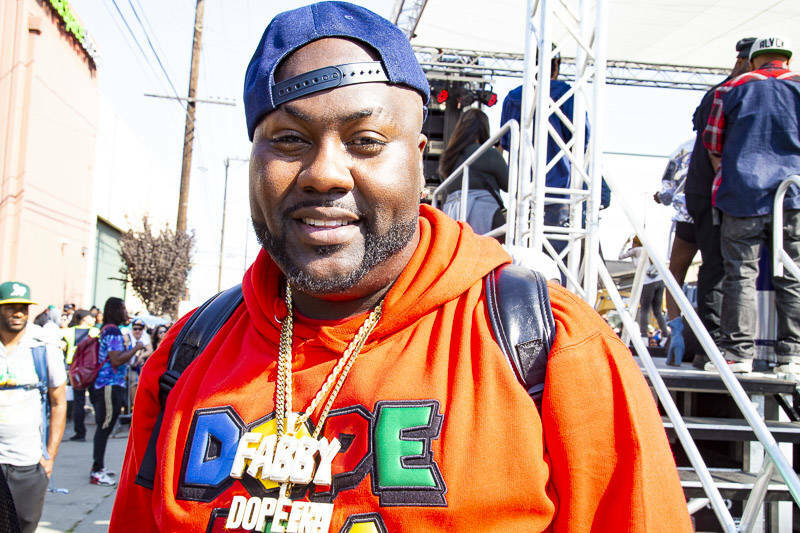 "He runnin' for city council, man, for us to make a change so we can have one of our own making the decisions so they don't push us out, so we can at least have a voice in all this," said Mistah F.A.B. 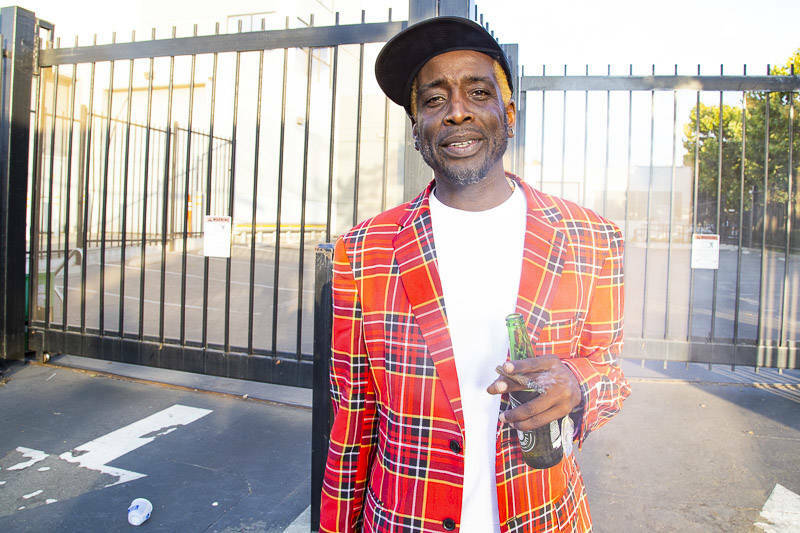 to the cheering crowd. 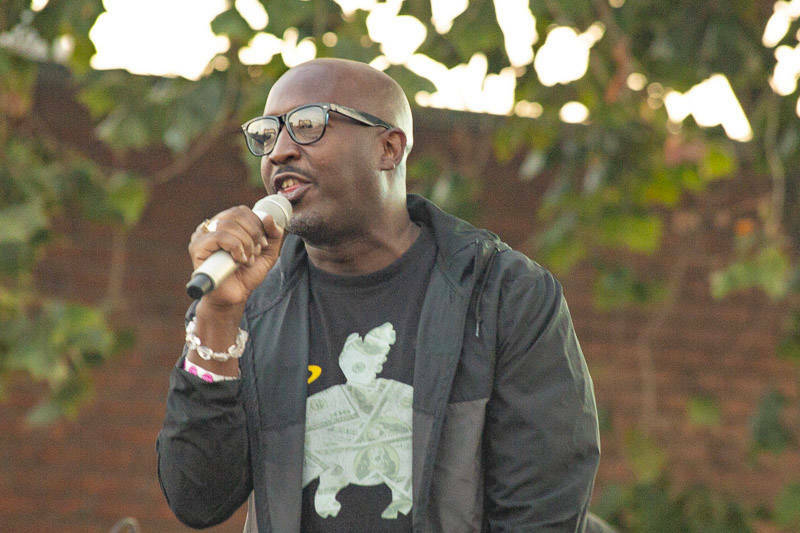 "They're not trying to listen to the hip-hop community and think that the hip-hop community will not vote—I've heard this in several city council meetings," said Smith before imploring the audience to register for the November election. 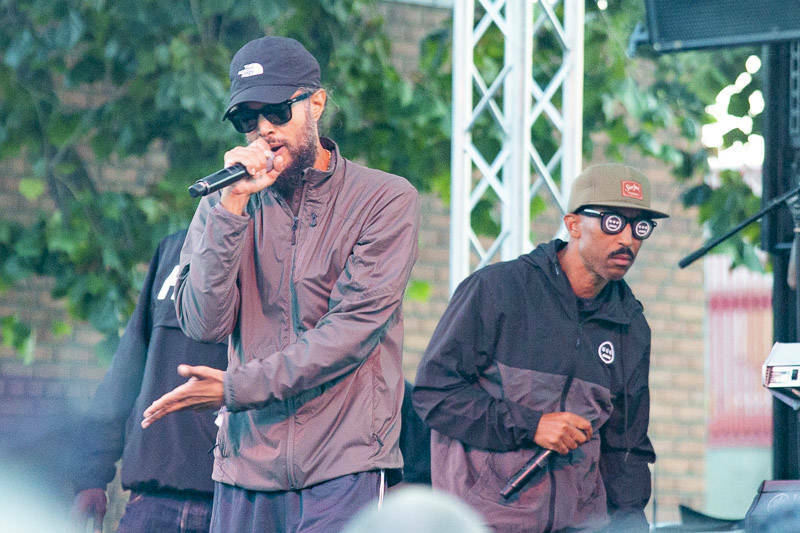 The crowd shouted in approval. 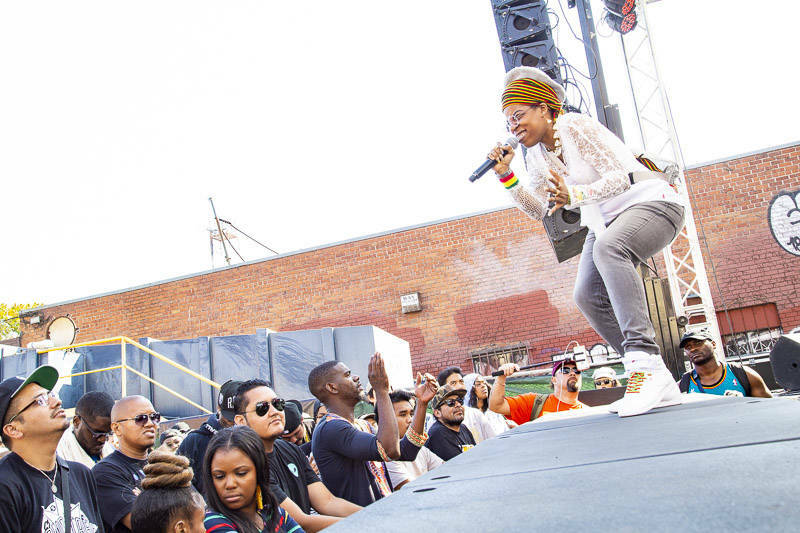 Hiero Day, now in its seventh year, has consistently been a triumphant showcase of Oakland's underground hip-hop culture. 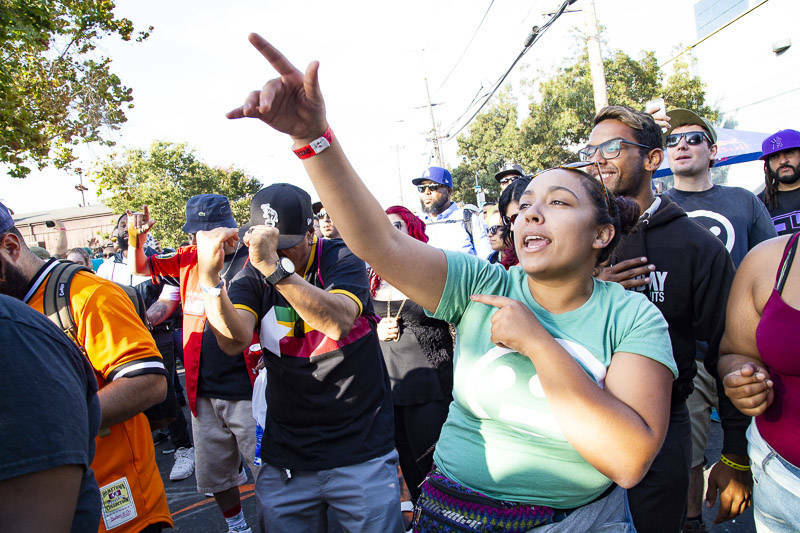 But this year's Labor Day block party and music festival felt particularly significant after a turbulent summer of racist incidents across the Bay Area. 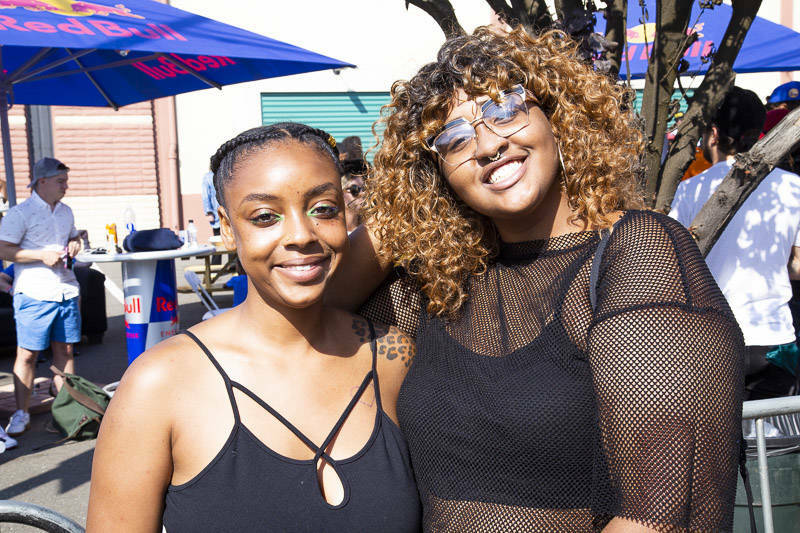 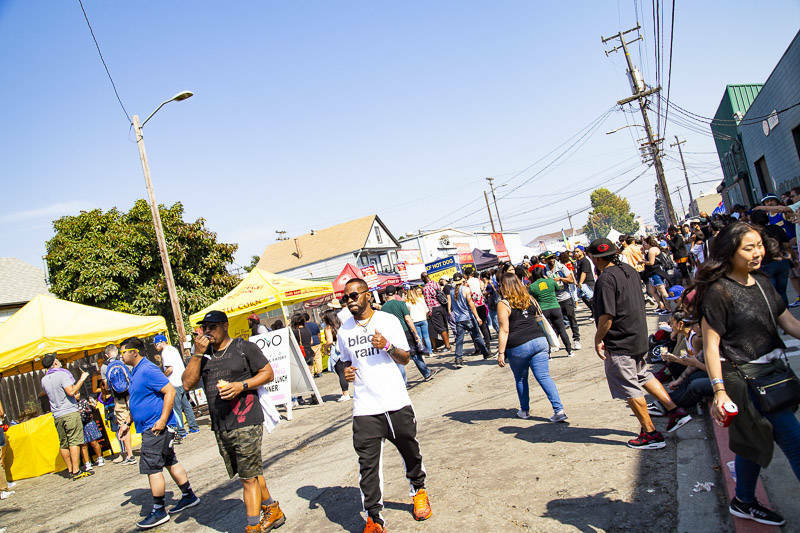 With numerous instances of white residents calling the police on black people engaged in mundane activities, and with the community still reeling from the tragic murder of Nia Wilson, 2018's Hiero Day became a much-needed celebration. 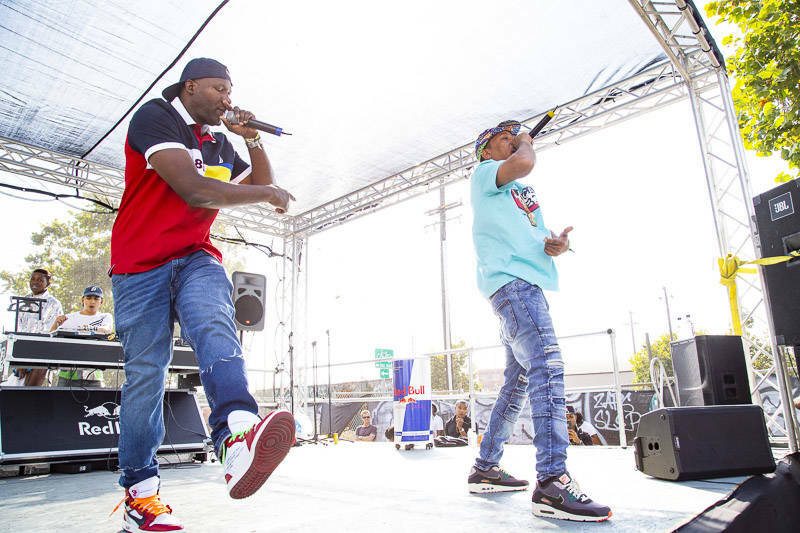 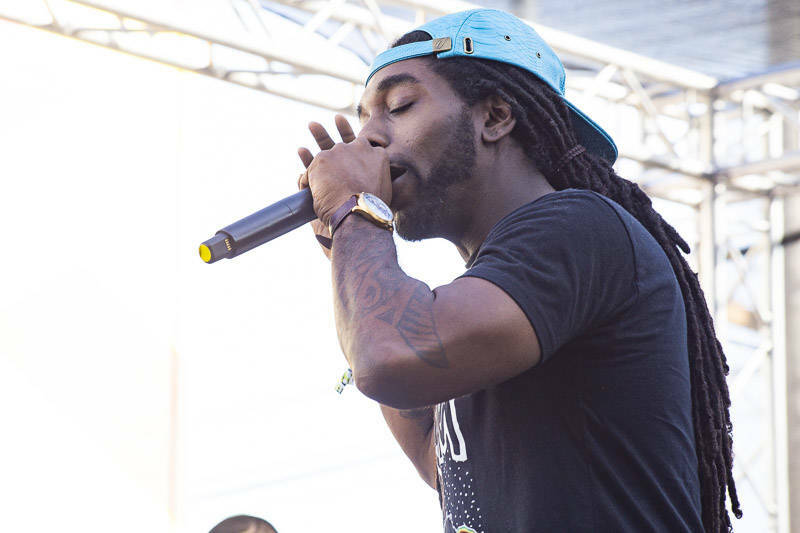 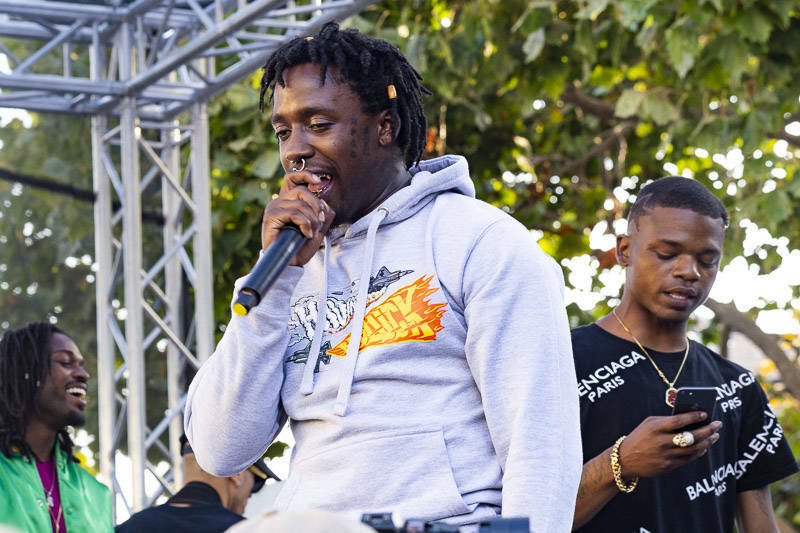 Earlier in the day, West Oakland rapper J. Stalin and his Livewire Records crew put on a rowdy show at the Imperium stage, moshing in the crowd among beaming fans already going hard before the festival had even filled up. 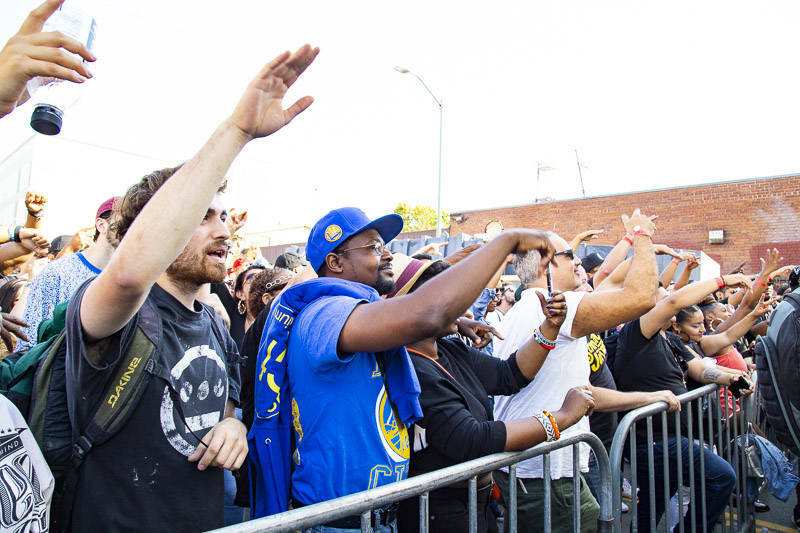 J. Stalin, who was raised in the Cypress Village housing projects just down the street from Hiero Day's West Oakland location, rarely does local shows—often because the police department shuts them down. 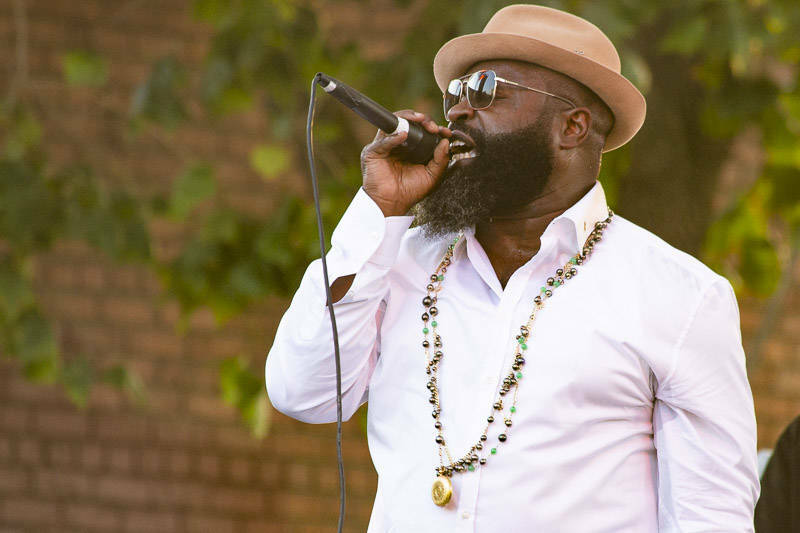 He looked liberated as he strutted across the stage, bouncing while delivering his verses. 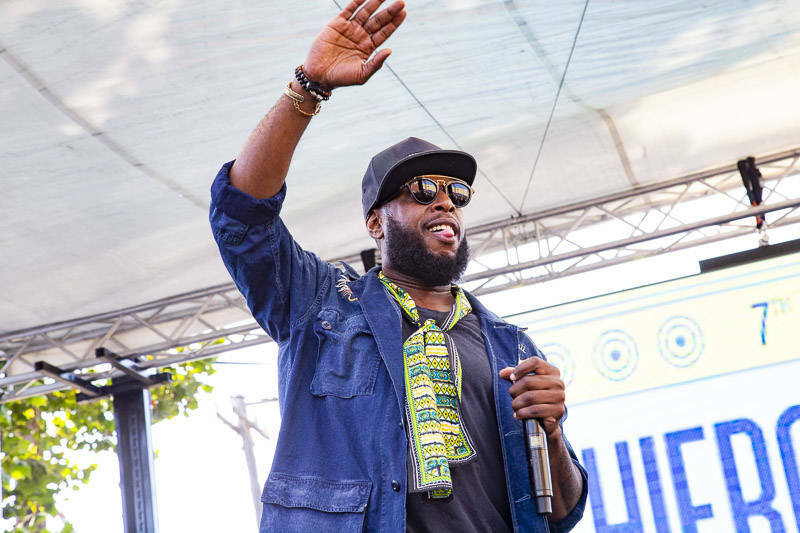 He received a hero's welcome from hometown fans as well as the stage's hosts, outspoken Oakland poet and playwright Chinaka Hodge and Leon "DNas" Sykes, the founder of 510 Day, another popular anti-gentrification event. 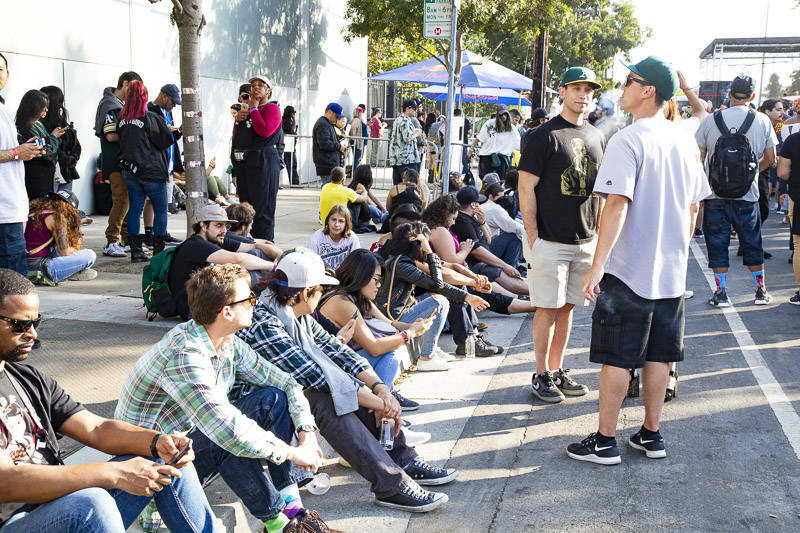 Other artists' sets carried a similar air of defiance. 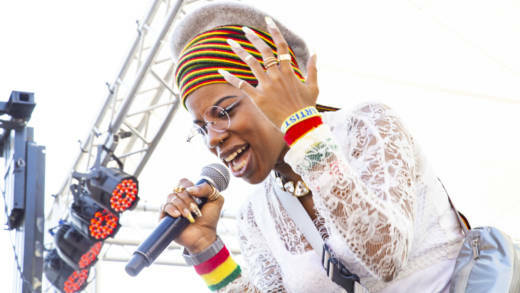 Georgia Anne Muldrow, a Stones Throw Records signee with a soulful singing voice, delivered an emotive set of experimental R&B, dancing on stage in her Rastafarian colors. 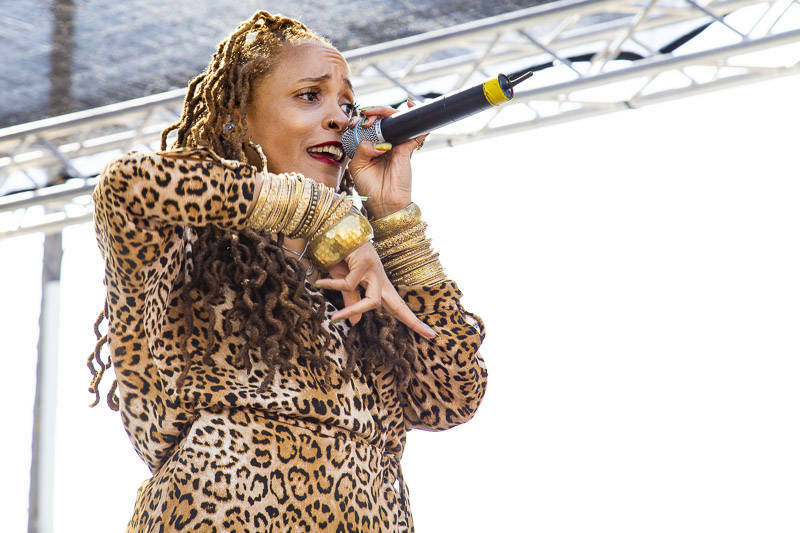 She ended her set with the words "Black power!" 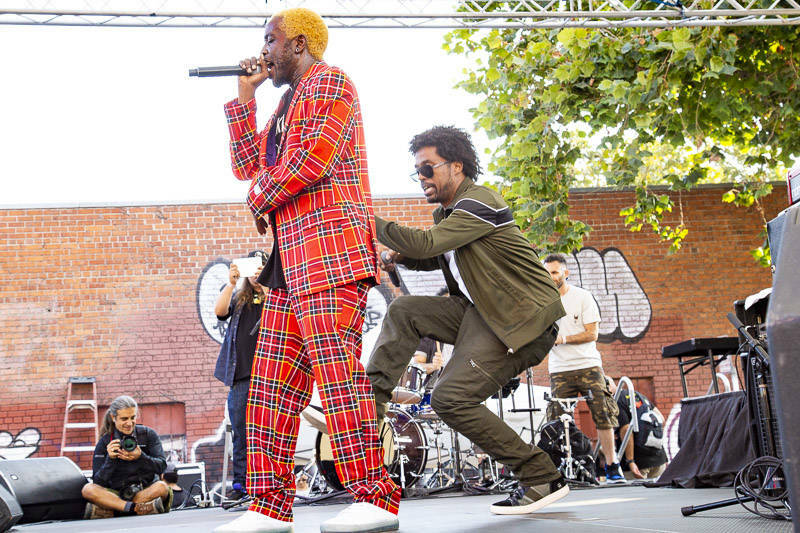 Similarly, Freddie Gibbs's call of "f-ck the police" carried weight in the context of the politically charged day. 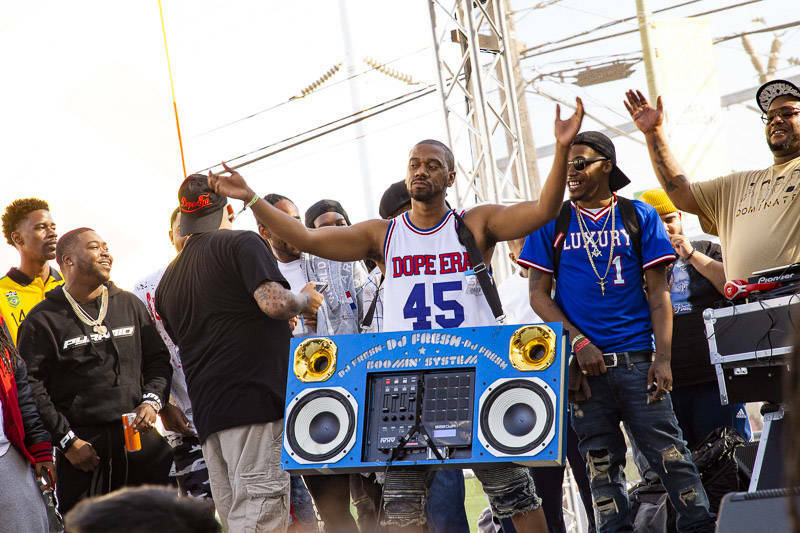 Amid other significantly pricier and more homogenous festivals in the Bay Area—whose lineups often mirror other festivals around the country—Hiero Day remains special. 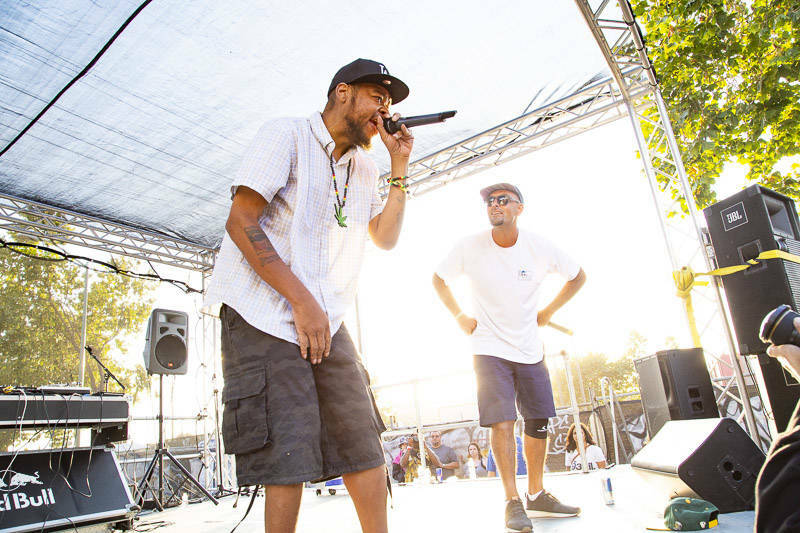 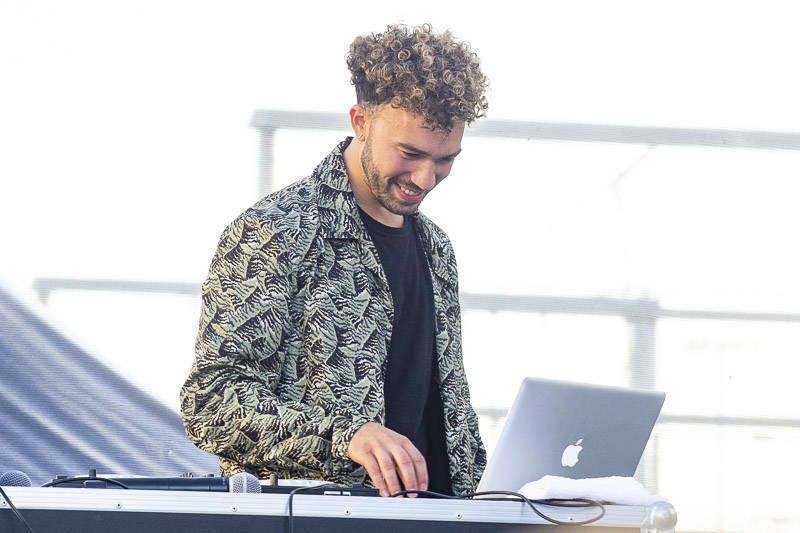 Its organizers, conscious hip-hop crew Hieroglyphics, have held true to their vision of accessibility and originality. 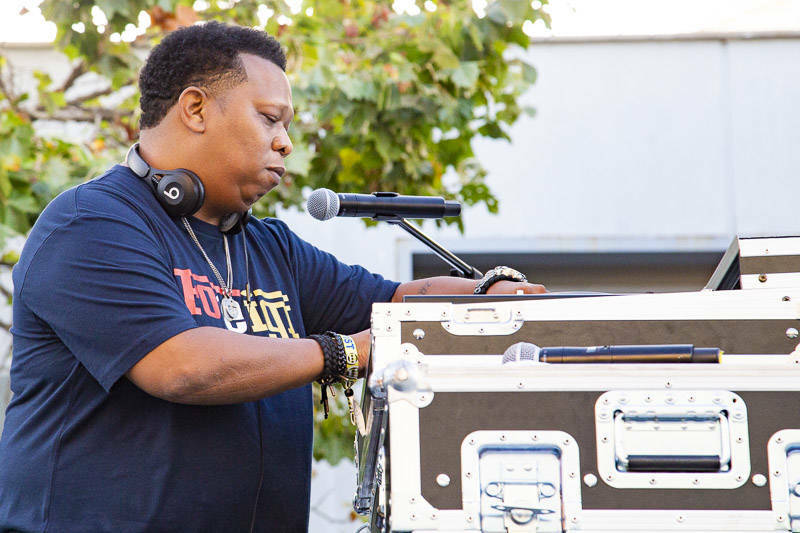 Although this year's lineup wasn't as star-studded as 2017's (which included Lil B, Goapele and Bun B), Hiero Day managed to spotlight local talent and bring in world-class artists, like Cash Money Records producer Mannie Fresh, while keeping ticket prices low. 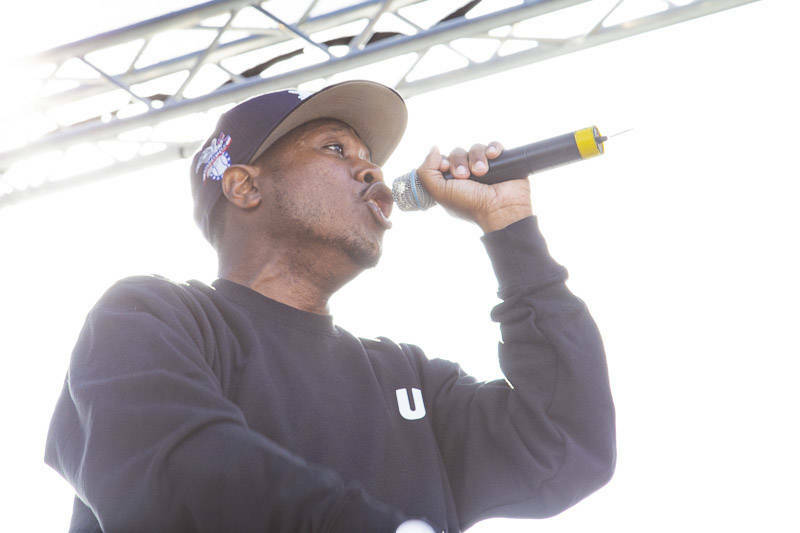 Year after year, Hieroglyphics' commitment to their vision ensures a diverse, intergenerational crowd of music lovers. 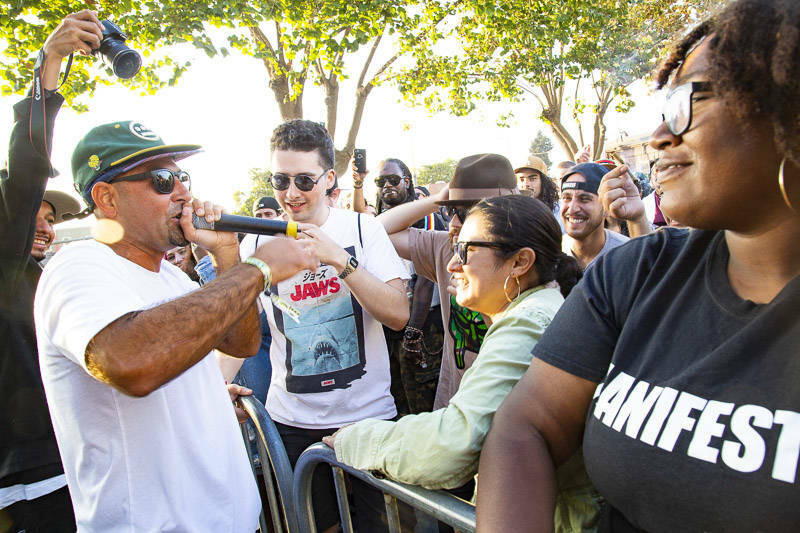 And as gatherings like this become increasingly rare, Hiero Day 2018 served as a reminder of collective power in the face of cultural erasure.